Looking for music, dresses, invitations and more? Not sure where to start? Curated lists of the best of the best sites for planning your special day. When first starting the wedding planning, you’re probably feeling overwhelmed with the sheer number of things you need to plan and organize. It’s no wonder most couples start their wedding planning over a year in advance! ​At Team Wedding, we make life a lot easier by organizing wedding ideas into one easy-to-use online wedding guide. We will help you with your wedding plans, offering great tips, resources and wedding ideas to help make your wedding day very special. We also scour the web for the best wedding websites and vendors to ensure you don't use somebody sub-par for your important day. So let’s get moving with your wedding planning. Our wedding guides are meant to help you from start to finish with a wealth of wedding information — such as a guide to wedding flowers, how to plan your wedding music, planning an amazing bridal shower - and much more. ​We’ve got resources for finding the best wedding reception songs, planning perfect wedding ceremonies and creatingmemorable wedding vows. Team Wedding will even help you find speeches & wedding toasts for the big day. We’ve got everything you need to plan your wedding. You no longer have to use a local provider to create wedding invites, the internet has helped give you lots of choices for finding awesome wedding invitations. We found the best list of sites that has you covered. Top 10 wedding apps and online tools guaranteed to ease the wedding planning process for busy brides. Awesome wedding apps turn "swipe time" into "wedding stuff getting done" time. Whether you’ve already set up home together or are just starting out, online gift list services are a great options for helping guests with gift giving. We've rounded up the best of the best in our ultimate list. You, or a talented friend, could design your own personal wedding website. Another option is to use a free online service which usually offer the ability to post one photo, some important dates and how you met. We found the best of the best wedding website builders and rate them all. We pulled together the ultimate list of the Best Wedding Magazines. Our popular Top Wedding Blogs post was a hit with our readers so we decided to share our favorite wedding magazine list too. These are the perfect wedding magazines for your inspiration. At Team Wedding we have been in the wedding business a long time. We run multiple popular wedding websites including Top Wedding Sites, I Do Take Two and Top Wedding Questions. Over the years our readers would ask us questions about the best wedding websites out there, the vendors we recommend and suggest. 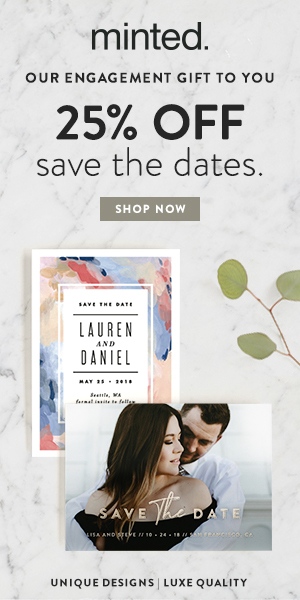 Where to get the best wedding invitations online, how to build a wedding website and where to find cheap (but awesome) wedding favors are all things our readers would ask us over and over. We would answer these questions via email until a few years ago we decided to put them altogether into one site which became top10weddingsites.com. The idea is to provide the ultimate list of the top wedding websites, tools and vendors in one place. Our team reviews and buys from these wedding websites all the time. We also solicit feedback from brides to see what their experience was like. We compile it all and we make recommendations on the best of the best. Whether you are looking for the best wedding registry or the best wedding blogs we have you covered. Explore unique, handcrafted items for your wedding day and all the special events leading up to “I do.” Wedding Invitations, Wedding Favors, Gifts & Keepsakes, Wedding Décor & Much More. Every year existing wedding blogs take it to the next level and new blogs spring up with their unique take. We created the best of list. Planning the honeymoon is fun compared to the rest of the wedding. There are lots of ideas, tips and tricks you will hear from lots of people. Wedding dress shopping is the most daunting and fun part of planning your wedding. We've got some tips so you don't go crazy. Choosing wedding music is always a balance between personal taste and the classic wedding songs that people know and love. Some tips. This blog is a participant in several affiliate programs including Amazon Services LLC Associates Program. These affiliate advertising programs are designed to provide a means for sites like ours to earn advertising fees by advertising and linking to sites. We sometimes get a commission through purchases made through our links. Please note that our recommendations are 100% made because we love the companies and products and are never influenced in any way by any commission we may receive.